Montreal’s ability to handle a disaster was put to the test on Sunday as emergency workers held a simulation of a major forest fire. 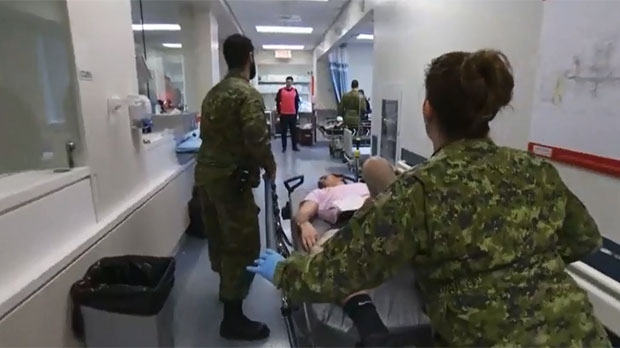 70 members of the Canadian Armed Forces, medical students from Universite de Montreal and doctors in residency from multiple hospitals took part in the drill, which was modelled after the devastating fire that struck Fort McMurray, AB in 2016. Hospital staff were put through a Code Orange, simulating the conditions of a huge influx of patients. To enhance the realism of the exercise, the pretend victims were given realistic-looking wounds and heat stroke marks. The annual simulations of Montreal’s ability to respond to a disaster have been going on since 2013.